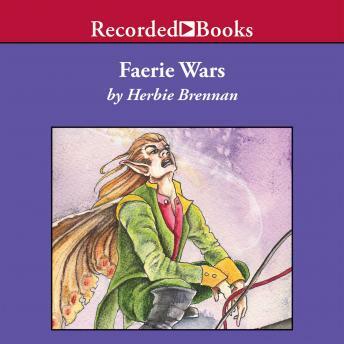 The worlds of the Faeries of the Light and the Faeries of the Night are always at war. Ruler of the Faeries of the Light Queen Holly Blue, and her brother Pyrgus, must always be on the lookout for the evil schemes of their foe from the other side, Lord Hairstreak. Queen Blue is suspicious when Hairstreak proposes a truce between the warring faeries. While they debate this treaty, the faerie demons of the night plot a hostile takeover. Implanting Henry Atherton with a controlling device, they force him to kidnap Queen Blue, unbeknownst to Pyrgus and Lord Hairstreak. Now it's up to Pyrgus to rescue his dear sister and queen, and save the Faerie Realm. New York Times, best-selling author Herbie Brennan packs this fast-paced adventure with action and dangerous thrills.